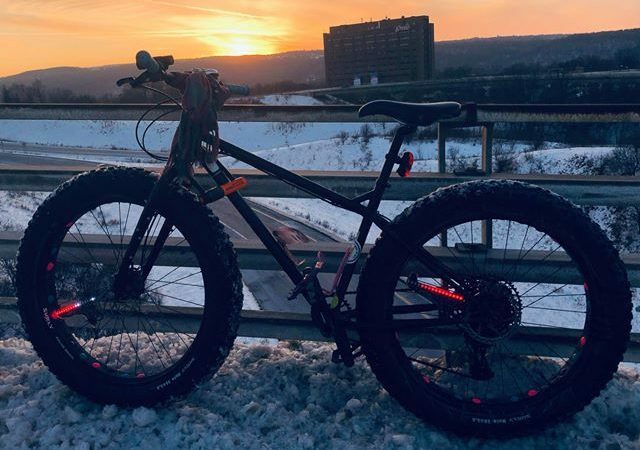 Our most dedicated bike-commuting friend, K. Alice Fox, recently celebrated her 10-year anniversary of being a winter cyclist in snowy Syracuse, NY. 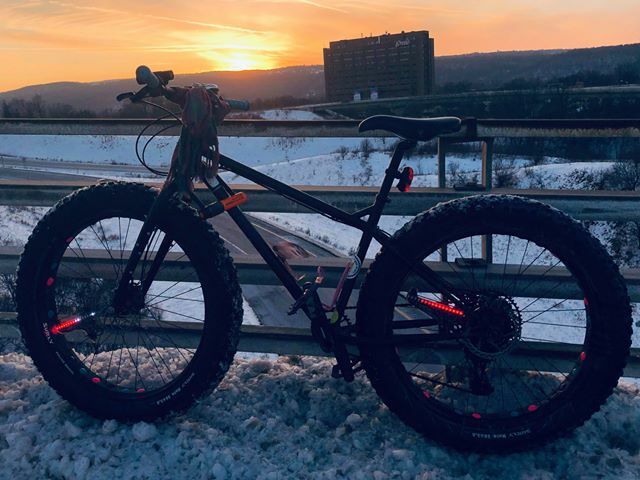 Syracuse averages 123.8 inches of snow per year. 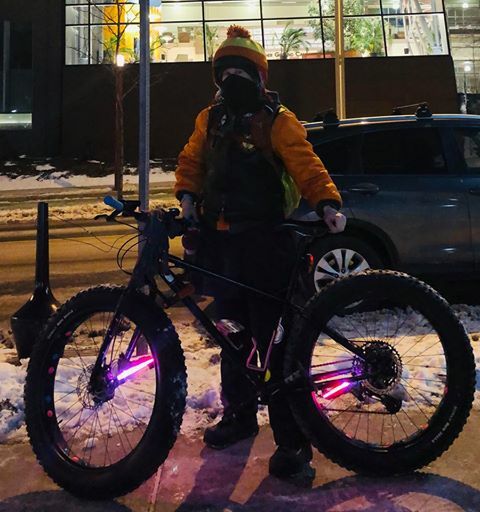 She sent us some photos of her ride, (complete with our waterproof, snowproof, and iceproof M232 Monkey Lights that help keep her visible during dark mornings and nights) and even made a video to celebrate. We interviewed Alice in the past, and she told us her amazing story about how cycling changed her life.